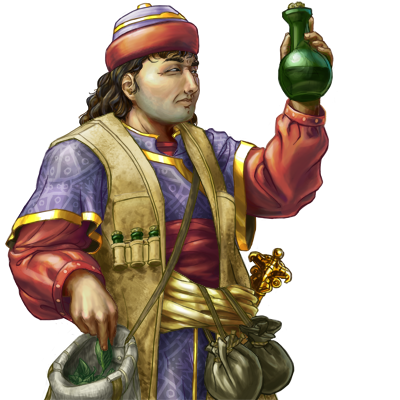 Hakim are learned individuals who have given up their urban life in order to assist the Khalifate armies in their travels. Their motivations are many; some look to it as an adventure or as a steady source of pay, while others feel it to be a requirement of their faith. Regardless, Hakim are highly respected by all. They are trained with the advanced medical techniques and possess a potent clutch of medicines and herbs, which allows them to quickly heal even the most gravely wounded allies. Special Notes: This unit is capable of rapid healing.